Happy Wednesday Everyone! 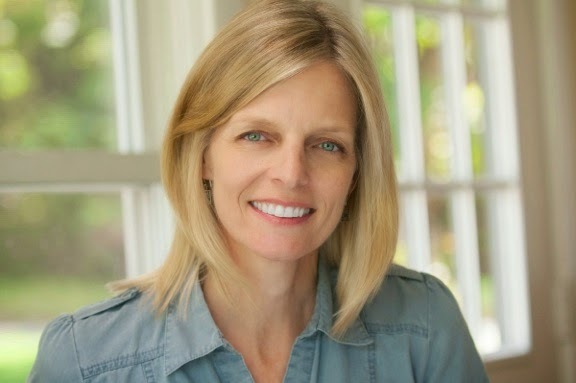 Today I'm excited to have debut author Sharon Huss Roat here with a guest post and a giveaway of her YA contemporary BETWEEN THE NOTES. I’m thrilled to be guest-posting on Literary Rambles today! Since Natalie invited me to write about the editorial process, I thought I’d share a few of the actual revisions my editor asked me to make. (A peak behind the curtain!) These aren’t necessarily the most significant changes I made, but they all helped me write deeper, more developed characters. It happened during my second round of developmental edits with my editor, Karen Chaplin, at HarperCollins. She asked me to do the unthinkable: turn two beloved characters into a single person. protagonist Ivy—were so different. One was quirky, awkward and shy. The other was wry, snarky, badass. I couldn’t imagine merging them into one person! But Karen convinced me to try. On their own, the two characters had needed a lot more development. It would’ve been difficult to devote the extra scene time necessary to accomplish that with both of them. But combined? They became a more complex character with greater depth and a more important role in the story. I was so worried about making Ivy likable, I hesitated to let her react fully to her circumstances. I didn’t want her to seem bratty or whiny. What I didn’t realize, though, was that Ivy (and her story) needed this authentic and relatable teen moment. Her world had just turned upside down. My editor encouraged me to let her throw a fit, to feel her “poor me” moment. Will some readers think Ivy’s a brat because of it? Perhaps. And that’s okay, because it’s true. She isn’t perfect, and she reacted to a crappy situation as any teen might: badly. The scene ultimately became an important turning point for Ivy, as she recognizes how her circumstances are affecting everyone in her family—not just herself. She had to have that bratty moment to move beyond it! Every school has its mean girls, and my manuscript did, too. Karen encouraged me to give them more depth and development, so they wouldn’t feel like caricatures. I did so by looking beyond their shallow and materialistic behavior to what made them so. I explored their relationships with their parents. They were spoiled, for sure. But also somewhat neglected. One was essentially raised by her “Nanny du jour” and the other was a product of her mother’s obsession with appearances. Weaving in these little bits of backstory along with a few moments of vulnerability helped turn my two stereotypical mean girls into something a little bit more. 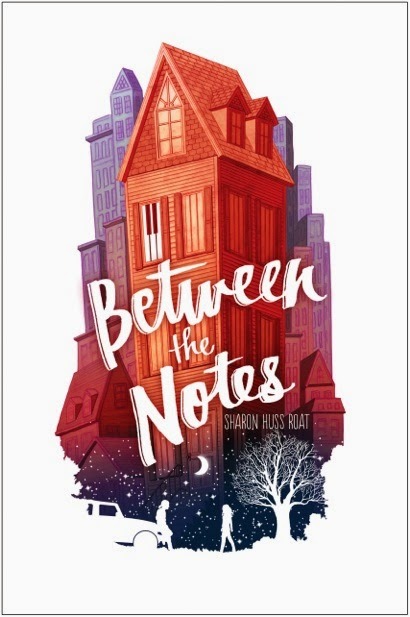 Sharon has generous offered a copy of BETWEEN THE NOTES for a giveaway. To enter, you need to do is be a follower (just click the follow button if you’re not a follower) and leave a comment through May 23rd. I’ll announce the winner on May 27th. If your e-mail is not on your Google Profile, please leave it in the comments. On Monday, I have a guest post by debut author Holly Bodger and her agent Lauren MacLeod and a query critique giveaway and a giveaway of Holly's YA futurist, multicultural story 5 to 1. I'll be off the following Monday for Memorial Day. Wednesday that week I have a guest post by Elizabeth Varden and a giveaway of her new MG mystery IMOGENE AND THE CASE OF THE MISSING PEARLS. I'll be off on Monday June 1st to get ready for my daughter's graduation. Monday, June 8th, I'll have an interview with debut author Sarah McGuire and a giveaway of her MG fairytale retelling VALIANT. Congratulations, Sharon! This book sounds charming, and I enjoyed reading about your editorial process. Congrats, Sharon! Given Ivy's situation, I don't blame her for throwing a fit and having a pity party. It's hard to give up the nicer things. Great tips on further developing characters. Congratulations on your debut, Sharon! It's finally almost here! Editors do ask us to make difficult changes, but I have never yet made a change I regretted in the course of 5 books so far! And I'm so glad you'll be at my release party! Love the colors of the cover. I enjoy complex characters, so this sounds very interesting. Congratulations on your debut! Have a wonderful weekend Natalie. It's great to meet Sherry! Combining two characters? That thought never occurred to me. I would need serious help from my editor. Congrats! and good luck with Between The notes. I'll check out your social media links. I needed to read this today, especially #1. My agent asked me to eliminate two characters and drastically change the story line of another. For the same reasons that Sharon said - the two characters required extra scenes to make them fully developed and there simply wasn't room for them. Thanks so much! I replaced a character in a novel based on comments from my editor. She said, "But I didn't say that." I said, "That's how my brain interpreted. Sucky character = replace with the one you liked better." I really love the cover of this book! It sounds like a great summer read for those of us going through some life changes. Wow, bet that was a lot of rewriting to turn two characters into one. I can see how it might give a more developed character though. Sounds like Sharon's editor had tips that really made a difference. It is amazing how writers can take the advice and run with it. Wishing Sharon the best of luck! I'm looking forward to reading Between the Notes. Thanks for the writing tips. Congratulations, Sharon. Congratulations on your debut! Love the cover. Looking forward to reading! Sharon, I can totally related to the scary concept of combining two characters. Congrats on your novel. Congratulations, Sharon! What a tough thing to do to combine two characters, but I'm happy it worked out. Thanks for the tips! Gosh, these are really great tips. Thanks for sharing them here, Sharon. Congrats on your book. It sounds like a must read to me. This sounds really good and thanks for the great tips and giveaway! This book sounds really good. I could totally relate to this character just from the synopsis--and I love that she's a musician! Congrats, Sharon! These insider tips are wonderful--thank you! This sounds like a wonderful story of self-discovery and personal strength. Thanks for the chance to win a copy. This cover is gorgeous. Thank you for the giveaway! I'm really intrigued by the synopsis! It seems really interesting, and I have a soft spot for books which feature music! I'm also glad that the author took some time to give depth to the mean girls in her novels! It's really rare to come across a book where they're not just represented as shallow rich girls who are portrayed like this because it's instrumental to the story! Teens do react badly. I think it's okay to have ugly moments, especially in the beginning before the character changes. I like to add dimension to my bad guy/mean girl characters. Thank you for the giveaway. I love how unique this sounds, made me want to pick it up right away. Congrats to Sharon! Oo, I love the advice about avoiding caricatures! I love the character building tips. These are fantastic editorial notes--thank you for sharing, Natalie and Sharon!